offers therapeutic riding to people with special needs to benefit their health and well being, to achieve their goals and to have fun! The experience gained through riding and contact with our horses and our volunteers helps them develop self esteem, confidence and independence. As a voluntary organisation (registered charity no. 1125242) our group receives no state or lottery funding at all. We rely entirely on donations and our fundraising. 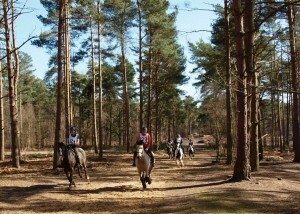 The ride takes place over beautiful heath and through woodland south of Guildford. The going is mainly on sandy paths and bridleways with occasional stony tracks. A refreshment van and loos will be on site at Albury Heath and Vet on Call. There is no entry fee but there is a minimum sponsorship of £35. This is for riders and horses of any age and experience but must be led or accompanied by a responsible person ON FOOT ONLY. The ride takes about 1 to 1¼hrs to complete. The ride follows mainly sandy paths. However, some parts of the route can be muddy, so those people who are accompanying riders on foot are recommended to wear wellington boots or similar footwear. Well behaved dogs are permitted on leads only. There is no entry fee but there is a minimum sponsorship of £25. 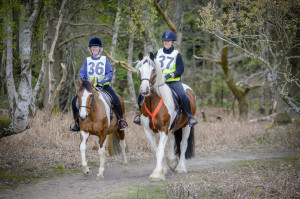 Cranleigh RDA has over 190 volunteers who assist with riding or running the charity. You don’t have to have any equine experience to help us as full training is given to all our volunteers. Horse riding offers a degree of independence that many disabled people cannot have in their daily life. 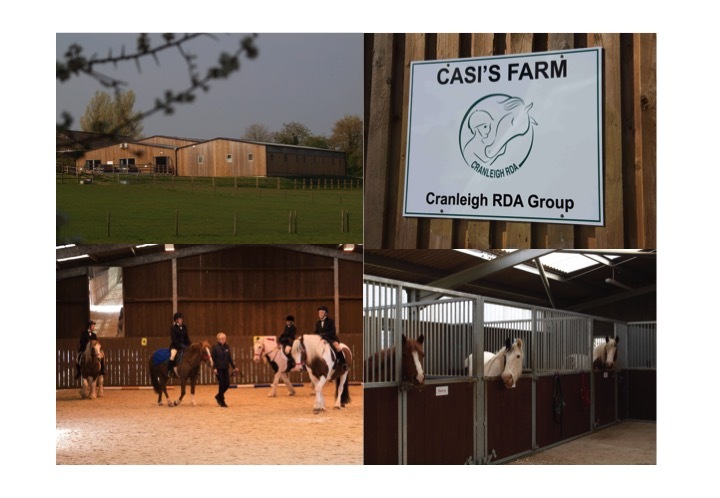 Over 200 adults and children from an extensive area around Cranleigh and Guildford, stretching into West Sussex, ride at Cranleigh RDA.